Specializing in residential and commercial electrical services, we are dedicated to providing customer service that is second to none. Whether you need a small wiring fix or to complete rewire, our licensed electricians can get the job done right. At Power Trip Electric, our goal is simple-How About Now! Anything Electric, Any Problem-Any Time. We strive to offer our customers the highest level of customer service and professionalism. Our Rhode Island Electrical services provides homes and businesses with Electrical Repairs, Panel Upgrades, Surge Protection, Generators, Outlets & Switches, Smoke Detectors, Electrical Inspection, Electrical Remodeling, Ceiling Fans, Security Lighting, Landscape Lighting, and Commercial Services. 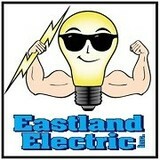 Enlightened Electric is owned and operated by local Stafford Springs resident Jimmy Page. Enlightened Electric is a fully licensed and insured electrical contractor serving Tolland County and beyond. At Enlightened Electric we pride ourselves on the best possible workmanship, with a clean and courteous working atmosphere, and service with a smile. In a world filled with drive-thru service, we at Enlightened Electric invite you to take a deep breath and share your ideas and visions of what you would like completed by us. Sit down and share your thoughts with Jimmy as he listens and brainstorms with you to accomplish the job at hand in the most enlightened way possible. It is important to us to complete each job in a timely fashion, but it is of equal value to make sure that you are satisfied and informed during all phases of installation. Be it a small addition or a whole house renovation, Enlightened Electric is ready and willing to make it the best possible experience for all parties involved. Masi Electric has been providing residential & commercial customers with quality wiring since 1996. We can assist with jobs of all types & sizes, whether it's a complete wiring system for a new construction project, upgrading a main service, preparing a commercial space for a new tenant, or simply adding a few lights & plugs into your home. No job is too small. We regularly attend continuing education to stay up to date with code changes and new techniques to be sure our customers are receiving the best installation available. Our belief is that customer satisfaction is first priority, and if you give us the opportunity to quote your project, you'll be pleasantly surprised at just how reasonable our pricing is! Residential and commercial electrical contractor serving Norfolk County, specializing in new construction, remodeling and green energy projects. OSHA and Solar Certified. When you have commercial or residential work that needs to be done quickly and with an eye for quality, look no further than Beantown Electric, LLC. We have the most highly-trained, industry-certified master electricians with years of experience working for both commercial and residential clients. What do licensed Narragansett Pier electricians do? An electrical contractor plans, installs and repairs wiring in structures. He or she works closely with the home’s general contractor or remodeling contractor to determine the specific electrical needs for the project and to ensure that the wiring will meet Narragansett Pier, RI building codes. An electrical contractor’s job also includes installing and repairing fixtures, switches and other visible components of electrical systems. With today’s technological needs and advances, many electricians in Narragansett Pier, RI also are trained to install fiber optic and coaxial cables for electronic equipment. Certain electrical companies may design and install data systems and wire for security features such as alarms too. Some Narragansett Pier electrical contractors specialize in specific areas, such as HVAC, low-voltage appliances and systems and more, so be sure to ask about their training to see if it fits your project needs. Find a certified Narragansett Pier electrician on Houzz. Narrow your search in the Professionals section of the website to Narragansett Pier, RI electrical contractors. Here are some related professionals and vendors to complement the work of electricians: Lighting Showrooms & Sales, General Contractors, Solar Energy Contractors, Heating & Cooling Sales & Repair.